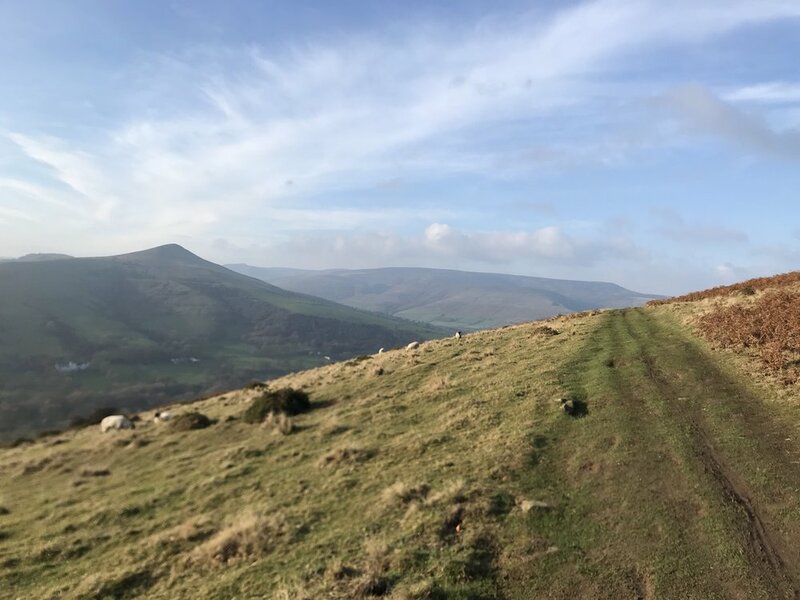 Ben Newton led the way on today’s adventure from just outside of Castleton, involving Messrs Andy Poole, Michael Gradwell, and Andy Tromans. 24 miles, 3.4k feet climb and a number of falls from yours truly. For someone who has not really been out on a mountain bike for four years since taking up fell running it was interesting. Well in fact it was tough beyond belief with other seasoned mountain bikers. Most of the route was off road, using bridleways, tracks, and paths that were new to a number of us. With the weather improving by the minute the sun came out in the afternoon as we sat beneath Win Hill taking in the views. This was different from the morning when we’d layered up from the start. To say I fell off in spectacular fashion on a few occasions would be an understatement; one notable one led Mr Poole to describe my having used an ejector seat. It was wet and slippy underfoot, with the muddy sections offering no purchase, and the bike is old. It’s serviced and a lovely bike but old. On the mud it fish tailed all over the show and was hard to control. But being honest, I am older since last riding four years ago and the route had some quite technical sections like The Beast, so there was plenty of bottling it and putting feet down, but I am glad I did it (with support) as it has proverbially got me back in the saddle. 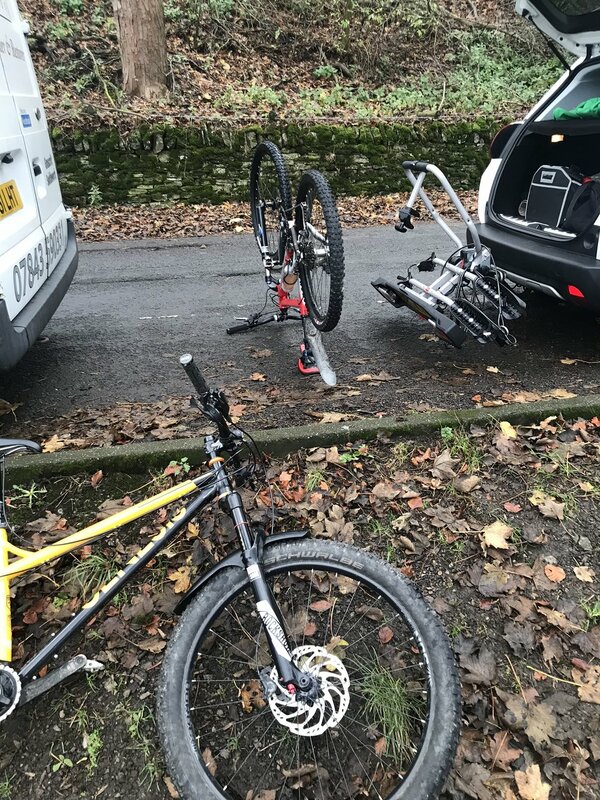 Having Ben in charge was a blessing as he’s a MTB instructor, coach, and guide and when en route gave some really useful advice on pedal position for balance and clearance, across to looking and scanning ahead properly so you know the best line to take. Things that came back to me and proved useful. I’d strongly advise using Ben if you want to improve your MTB style. Cycling in Llandegla Wales with Alice and Andy. Yesterday was a super fun, fast and furious bash at Llandegla with Alice and Andy from the Saddleworth Runners. Back in the saddle after a four to five year hiatus since starting fell running. 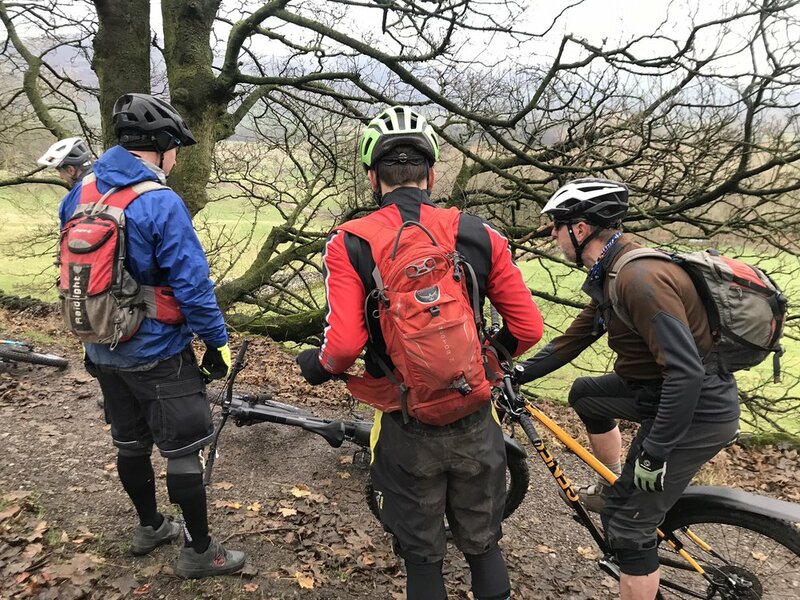 So, I organised a mountain bike soiree from https://oneplanetadventure.com/ for the Saddleworth Runners, and was a tad nervous not having been on a mountain bike, let alone Llandegla and black routes for quite a while. The last time ( (I think) I was on a mountain bike was 2014/13, an eon ago. That said I did got out on trails when in Portugal last month, but it certainly was not the same as this. Alice and Andy from the Saddleowrth Runners were able to come along for the adventure. Alice and Andy were certainly fast and nimble on the bikes and very impressive, with me tagging along at the rear as I strove to keep up. Alice is the Irish demon on a bike, let alone being a demon fell runner, and insisted Andy and I only do the black routes and “encouraged” us over challenging obstacles. I was pleased at not braining myself, and amusingly came off only the once whilst at the start of a black run after clipping myself in to my SPDs. Clipped in fell over sideward. This was witnessed by three mountain bikers behind me, who later confessed to this being “amusing”.